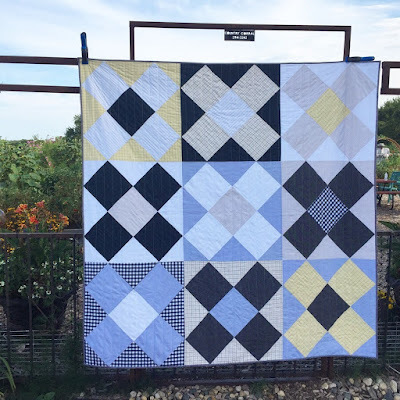 In my previous post I covered the first steps to take to make a memory quilt. Once you're ready to create the quilt, keep a few things in mind. 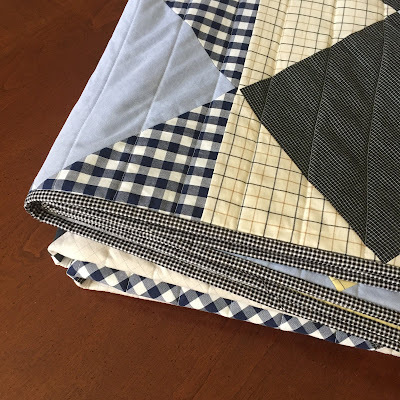 First, remember that the fabrics are what makes the quilt special, so pick a design that makes them the star. Using large blocks is a good strategy for creating both a fast finish and a design that allows the fabrics to be the main feature. 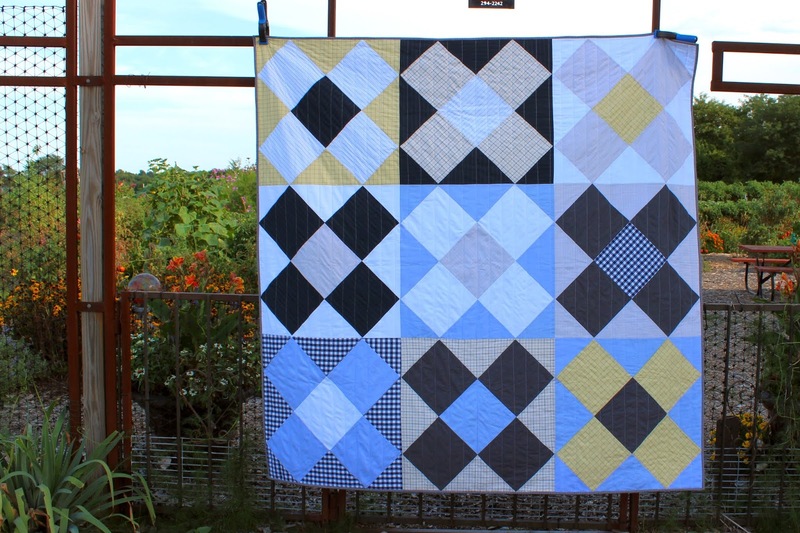 The blocks I created are about 26 inches square, so just nine blocks makes a good sized throw quilt. Two, with the purpose of the quilt in mind, add to the comfort factor with both the backing and the quilting style. Select a cozy backing fabric. I picked a soft flannel. You may want to quilt minimally to maintain a soft drape to the quilt, as I did. As a bonus, simple straight line quilting about every two inches is also quick to do. Consider the feature fabrics as your select the finishing touch of the binding. Often the clothing scraps will not be large enough for binding strips, so choose a complimentary fabric. I think this mini check blends well with the other shirting fabrics. 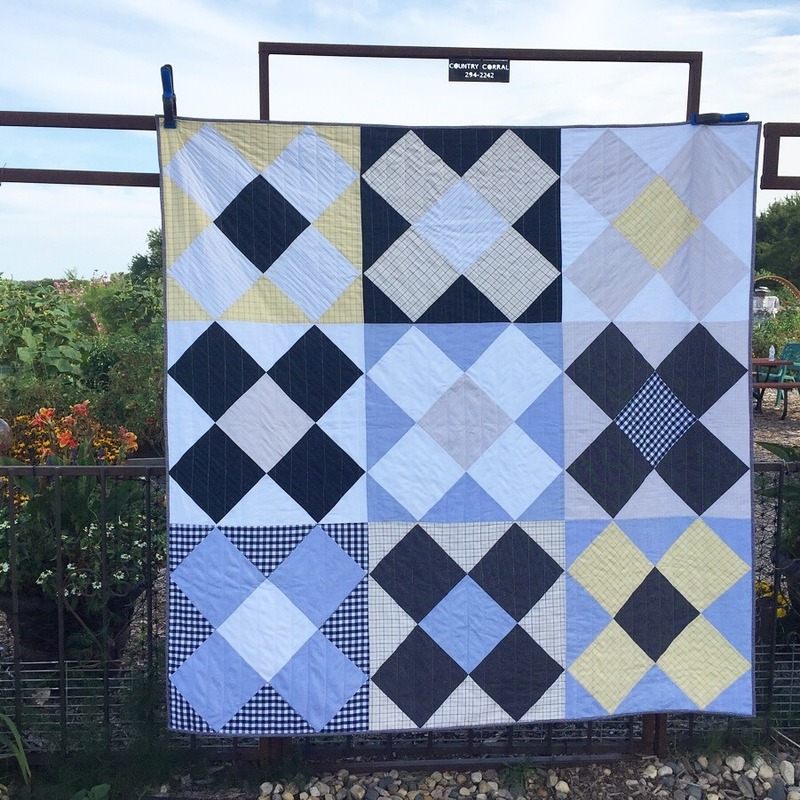 I hope the quilt will bring up a lot of fond memories and offer some tangible comfort. 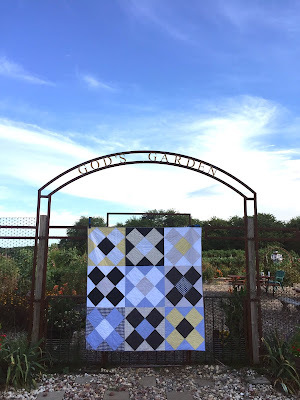 My quilt design was inspired by this fabulous quilt by Shea. 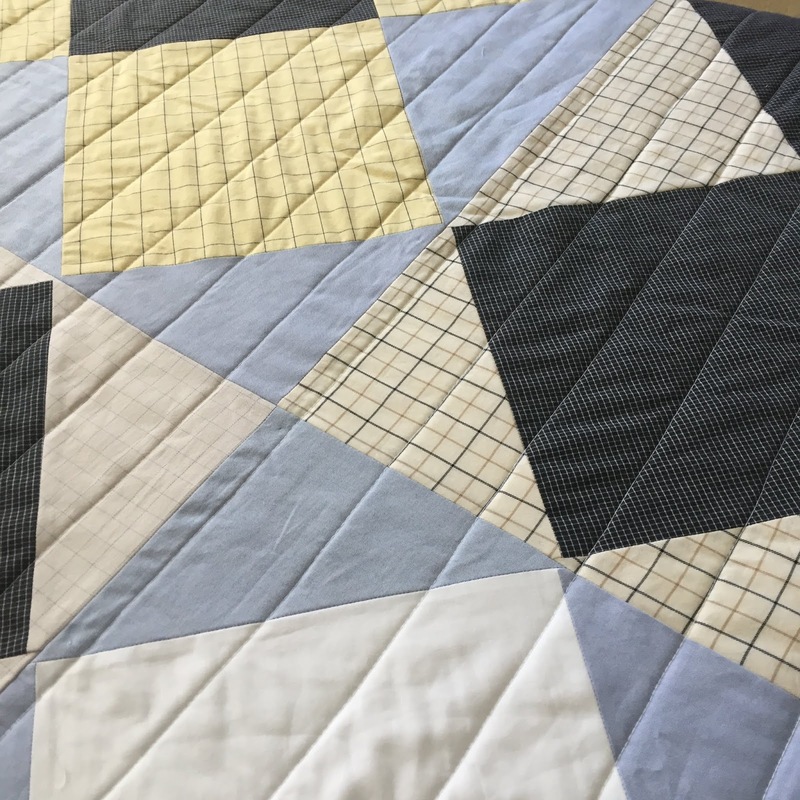 Although I was unable to find the block name or a pattern, it only required some simple quilt math. I have saved you the trouble if you want to follow the instructions below. Cutting the triangles from the squares as directed rather than individually means there will be no bias edges on the outside edge of the block. Best!